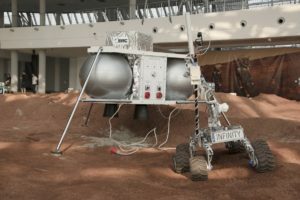 On 5th, 6th and 7th of September 2014 in the Regional Science–Technology Centre in Podzamcze near Chęciny, European Rover Challenge 2014 is held. ABM Space team of employees is taking part, as expert judges, in the first European edition of competition of students’ Martian robots. The company is a partner of the event, whereas its founders cocreated and still animate Polish community of exploration robots.